After locating to Indianapolis from Los Angeles to be closer to family, husband and wife beauty duo Kiem Voong and Ivy Hoang worked in the hair and nail business before opening Mi Nail Salon to treat every guest in an exceptional, unique way. 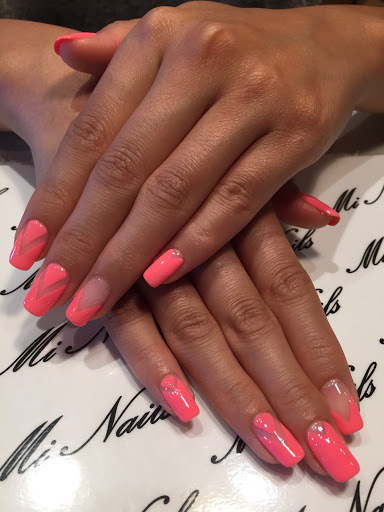 Unlike other salons that focus on nails, Mi Nail Salon specializes in nails, hair, waxing, facials and make-up. Clients are given full attention and made to feel special by technicians and stylists who spend longer time making clients beautiful. Mi Nail Salon has been recognized by Three Best Rated®, an organization that handpicks three local businesses for excellence, based on customer reviews, history, complaints, ratings, satisfaction, trust, and cost. With more than 2,000 colors, Mi Nail Salon offers Shellac, O.P. I., Gellish, Essie, Perfect Match and Vinylux polish to give guests a choice for manicures, and pedicures. Gel, paraffin, exfoliation, mint mask and hot lotion are also offered. To ensure cleanliness, pedicure tub liners are used and changed with every guest to prevent the spread of fungal and bacterial diseases. Tools are also sanitized using an autoclave sanitation device after every use. This self-locking device uses steam under pressure, and is one of the most effective methods for destruction of microorganisms, including spores and other airborne germs. Walk-ins and appointments for nail services are accepted. 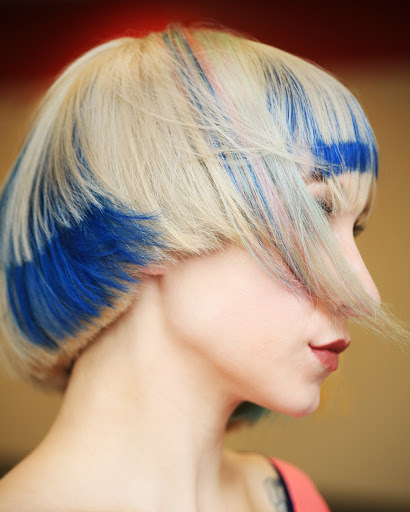 With more than 15 years experience, Kiem Voong was trained under Vidal Sassoon and Goldwell Master Color. In 2015, Kiem became a Goldwell Trend Artist by winning the national, “Make The Cut” competition sponsored by Goldwell. As part of his commitment, Kiem provides training and hands-on education to salons across the country. Kiem begins every appointment with a personal consultation followed by a relaxing shampoo massage. Appointments for hair services should be booked at least three weeks in advance. Invigorating facials and anti-aging treatments using Nu Skin® products can achieve overall skin wellness. Co-owner Ivy Hoang can help guests with Xtreme Lashes® Eyelash Extensions that keep eyes looking beautiful. The salon also has many styles of make-up available, and artists are available for consultations. For pricing on Xtreme Lashes® Eyelash Extensions, make-up, or to schedule appointments, inquire within. Mi Nail Salon offers packages for special occasions .To learn more or to book a date, please call the salon. Complementary beverages and a waterfall wall are there to make a visit to Mi Nail Salon more enjoyable and therapeutic. For a complete list of services and pricing, please click to download.